The New York City luxe dining world starts with textbook $20 cocktails and seems to never quite top out. Omakase (which shakes out to "I will leave it to you" from Japanese) is a chef-curated sushi experience where freshness, technique, and sometimes even seating arrangements are of paramount importance. The multi-course meal is prepared using the best catch of the day, ideally a bar small enough to give the chef a chance to engage with each customer. And it’s become synonymous with expensive. Prix fixe menus climb past the $50 mark, speed by $100, glance at $250, and, in one notable case, clock in at nearly $600. It wouldn’t be quite right to claim there’s an omakase menu fit for every budget -- it starts out spendy and prices only rise. But for the hyper-seasonal and intimate dining experience that's basically on par with having a personal chef for a night, it can also be well worth the cost. To help you get what you pay for, here's a guide to the best omakase in NYC. You’ll find plenty of super-spendy omakase spots in Manhattan, and this understated Broooklyn alternative is on par with the best of them. Each piece of fish is meticulously cared for, occasionally seasoned with a dab of lemon or ponzu sauce, but mostly left to do the work on its own. The restaurant's decor is sparse, but the tender cuts of uni and tuna will easily command your attention for the entire night. The omakase is just slightly pricier at Katsuei's West Village, location: $60 for nine pieces of sushi and one toro scallion hand roll. 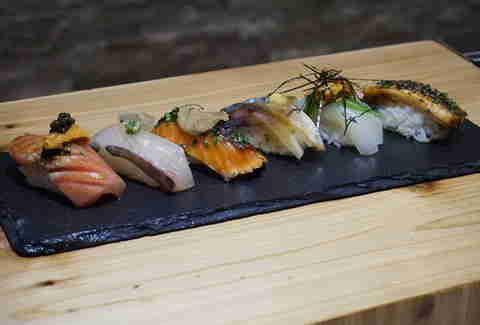 You'll have to text the restaurant (located inside the open-air Bowery Market) to reserve your spot, and you're only allotted 30 minutes at a four-seat bar to eat your meal, but any hassle is worth it for a truly fantastic (and fairly affordable) omakase experience. 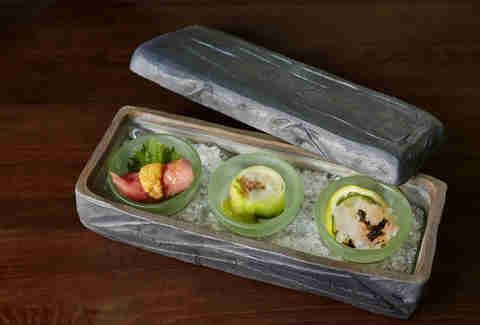 The fish -- uni, hamachi, salmon, and scallops -- is cut uniformly and very generously. And if you're worried about the outdoor setting affecting the quality of the rice, fret not -- cooks are diligent about the warmth and quality of the supporting grains. Visit the newer West Village location to skip the al fresco experience altogether. “Reasonably priced” is not something you often hear in the same breath as "omakase", and the phrase seems to assume a different meaning in the sushi world. Even at $85 per person, the omakase menu at Sushi Ishikawa still qualifies as a value. 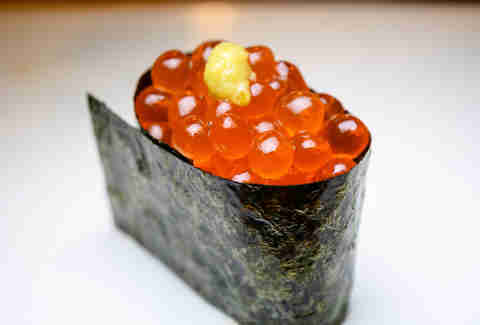 Twelve courses of excellent nigiri are decked out with posh ingredients like foie gras, caviar, uni, and truffle. Some people would raise a brow Chef Don Pham’s creative license, but extra toro and an extra warm demeanor are the kinds of perks you expect when you're shelling out this kind of cash for a meal. Chef Don is more than happy to provide both. 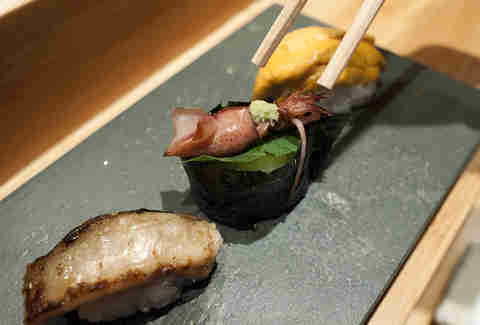 The two-hour-long dinner at Sushi Dojo resembles omakase served at much higher price points. 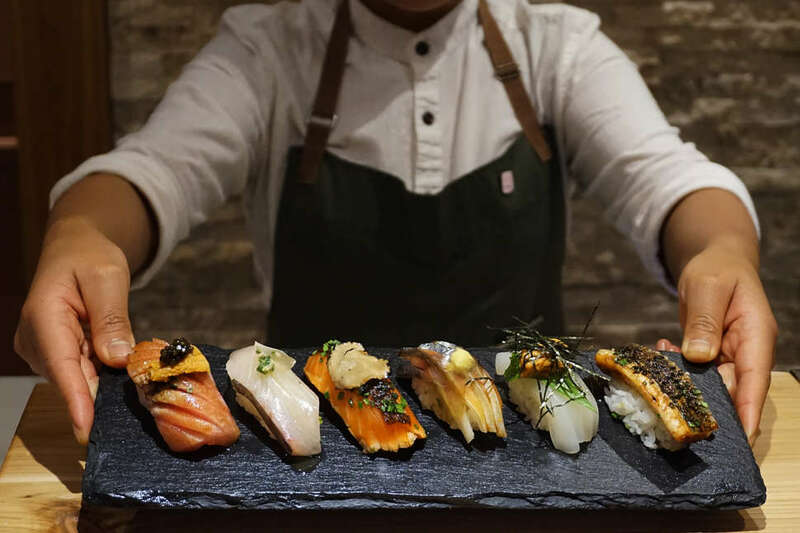 Diners are asked for their fish preferences and greeted with a custom-fit series of Hokkaido uni, red eye snapper, king salmon, and other cuts of the day, at a uniform pace. 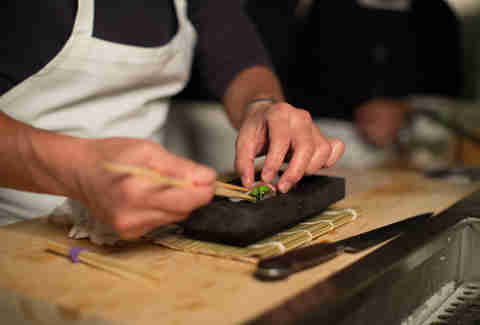 The chef advises patrons to eat with their hands (though chopsticks may also be used with omakase meals). Keep chatting with the chef throughout the meal, if you can hear yourself over the clubbier-than-usual music. Conversing with the sushi chef is a central part of the omakase experience, but disrupting an artist in motion can feel intrusive. Not so at Gaijin, where chef Mark Garcia brings friendly and disarming Chicago vibes to Astoria's Japanese restaurant scene. The hour-and-a-half-long meal here combines imported fish with soy butter, banana peppers, and sesame seeds that accentuate each bite, without distracting from the tender flavor of the fish itself. As with many omakase joints, ingredients are ordered a week in advance from New Zealand, Japan, Korea, and Spain, and flavor combinations change daily. Ask anyone who’s actually been to Kura if they’ve ever heard of the place and they’ll plead ignorance. 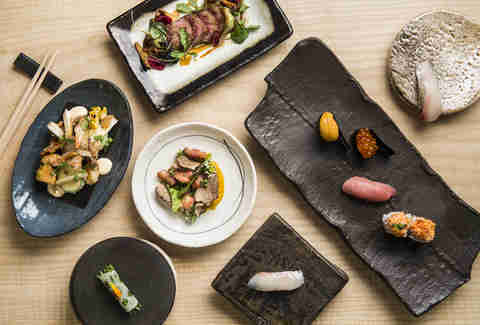 Kura is a hidden gem among NYC omakase spots, offering the intimate, quiet luxury of pricier restaurants, and the talent and fresh fish, at a price tag that’s a little easier on the wallet. The jovial chef is like a friend you haven’t met yet, and he’ll make you feel like you’re secretly getting his best, most generous cuts of the night, every time. Make a mental note of Sushi Seki for the next time you’re looking for a pre-Broadway show bite; it offers pre-theater specials like many of its Times Square area peers. You can dine at a table or at the bar in the back, but book a spot at the counter up front for the traditional omakase and personalized attention from the chef. Delicately plated tuna, yellowtail, and eel is are meticulously purchased via photo exchange between the chef in NYC and his buyer in Japan. Every New Yorker knows that Flushing boasts some of the finest Asian food in the five boroughs. 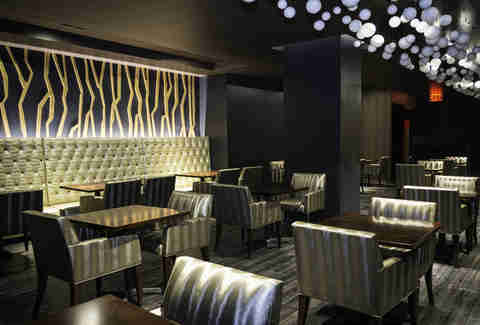 It has all manner of soup dumplings, a panoply of crispy fish, endless hand-pulled noodles, and in a shaded arcade under the Hyatt Place Hotel, perhaps the best omakase menu in all of Queens. At the helm of this insider favorite is William Chen, who offers a precisely curated procession of uni foie gras, lobster, and scallop sashimi with an expert's insight and enthusiasm for each of his cuts. Sure, the Main St locale is like the Queens version of Times Square, but like the best Broadway shows, this one's worth the crowds and the price. A slightly cramped space and casual neighborhood vibes betray Sushi of Gari’s excellence. Manage your ambiance expectations and you’ll truly appreciate this formerly Michelin-starred neighborhood favorite. The mini chain’s original location turns out seared toro with ginger sauce, fluke with poached egg, and an unassuming cut of salmon that'll have you rethinking years of sushi takeout. Plan to visit a little early or a little late; primetime reservations are a little hard to come by. The lush, blonde bamboo-enveloped space here is whisper-quiet, and the staff is obsessively attentive, standing at the ready to ensure you’ll fully savor the omakase experience. It’s all indicative of Chef Tatsuya Sekiguchi’s “kodawari” (his unrelenting pursuit of perfection), made evident in the sushi itself. Sekiguchi’s ruler-perfect parallel and criss-cross cuts of classic slices like blue fin, toro, and jack mackerel amount to a comprehensive dining adventure. The conditions for perfect omakase dining are all in place here: a calming, minimalist setting; some of the best fish in the city; a chef who cares deeply for your satisfaction (like a thoughtful friend, he'll remind you to not dunk your sushi in soy sauce); and quick, attentive servers. 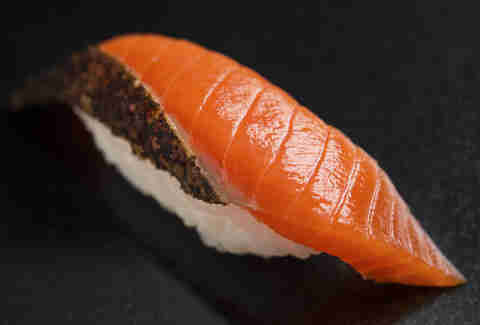 It's hard to believe that a restaurant with such a high price point would command a cultish following, but chef Daisuke Nakazawa’s star turn in the wildly popular Netflix documentary Jiro Dreams of Sushi established his eponymous restaurant’s audience before it even opened. Selections change frequently based on the fisherman’s choice, but you’ll likely catch cuts of chum salmon, mature yellowtail, and fatty tuna that will put you off California rolls forever. 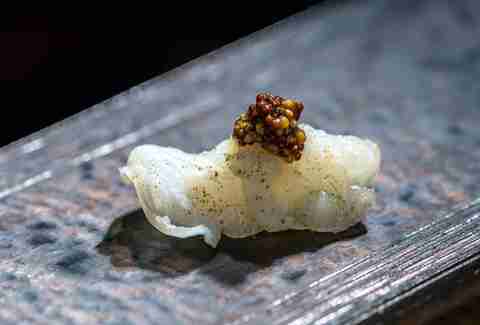 Led by two former Masa Takayama protégés, Shuko serves up some of the city's most aesthetically pleasing sashimi -- think gold flake-topped uni, toro, and caviar with Japanese milk toast, and tartare over caviar. The menu here skews more adventurous than other omakase meals -- incorporating novel ingredients like firm, buttery striped jack and shimmering silver needlefish that will perk up even the most accomplished sushi eaters palate. This 8-seat spot from the man who trained sushi heavyweight Chef Morimoto is an intimate knockout and a nigiri purist’s dream. Here, the chef uses only the best parts of every fish (that usually amounts to just 10% of the entire thing), which is flown in every morning from Okinawa and seasoned with nothing but a dab of wasabi and soy sauce. There are sushi restaurants that celebrities frequent, and then there are sushi restaurants that celebrity chefs frequent. Amane is the latter. Once you reach the basement-level, eight-person counter, you’ll see what all the fuss is about. Chef Shion Uino has been honing his craft since he was 18 years old and most recently finished an 8-year stint at what is considered one of Japan’s best sushi restaurants, Sushi Saito. Expect unique cuts like Hokkaido hairy crab, salt grilled amadai, and pen shell clam. It’s all served atop a modest bed of perfectly vinegared rice that lets the fish shine. Three-Michelin-starred Masa’s $595 prix fixe price tag makes it the priciest restaurant in the US. But what exactly does that get you? 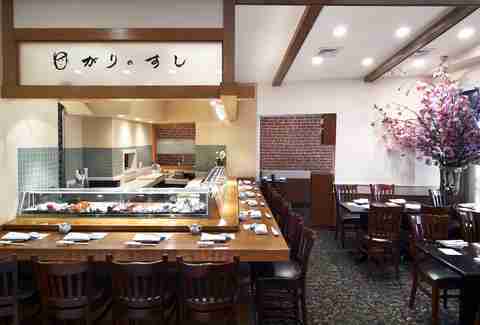 For starters, a seat at a sushi counter made from a single piece of blonde Hinoki wood that's sanded daily. Beyond that, you're in for salty bites like smoked saba alongside richer pieces like caviar on tuna, all designed to satiate each diner’s desires. Michelle No is a food writer at BuzzFeed. She'll never be too full for more salmon. Follow her on Instagram and Twitter.